By taking a private online lesson, you get the most personalized form of training available on the internet. The private online lesson with video recording provides you not only with an interactive coaching, but also with the opportunity to retain your lesson with your coach's and your voice clearly audible for further review in the most convenient form possible, a video! First lesson comes with a free highly personalized training program based on student's background, style of play, psychology, and learning preferences. Transaction fee is charged upon check-out when using PayPal or Credit Card to buy credit. PayPal may list its handling fee as 'sales tax'. of their sample games, strengths and weaknesses in play, chess psychology, and learning preferences. By ordering a training game with instant analysis, you get to play a real game against IM Valeri Lilov at a decent time control, as well as have your moves carefully and screened for various weaknesses. You can learn really much by simply enjoying the game instead of taking tedious lessons where that subtle feeling that you could beat the master is missing! You will get no less than a real interactive lesson, a bunch of instructive advice, and nice chess experience, all in one game that you will remember! By ordering the Personalized Self-Study Chess Training Program, you get an easy-to-use, straightforward, training guide designed to help you with your self-training and based on a comprehensive analysis of all aspects of your playing style and chess skills. This special personalized guide will optimize the most important and possibly the longest part of your chess training and will make it more effective and productive with the desired results coming up shortly after you have started using the program. By ordering a thorough game annotation, you can have your games analyzed by IM Valeri Lilov in a short video lecture full of instructive advice peculiar to your games and conveyed appropriately to your chess level and playing style. On the other hand, the service "Tiger's Game Advice" provides you with concise suggestions and good advice on any game/position of your choice! By taking a personalized video lecture, you make a smart decision to accommodate your busy schedule and relax while improving your chess. This is the best option for anyone who doesn't have time to reserve and show up for real-time lessons. You can watch your personalized lecture anytime and anywhere, and neither special software, nor stable internet connection is required. Enjoy! (You can see some sample lectures here). By taking the new Personalized Training Package, you will get a four-part offline training session with both personalized online support and graded thematic homework included. This is the best short-term substitute of Tiger Lilov’s Private Online Lessons, whose first part represents a one-hour general lecture on a topic listed in your Personalized Chess Training Program, created at the beginning of your course. The second part of our new service is a thematic homework assignment on the topic discussed in the lecture and the third part will provide you with the opportunity to ask up to two questions on the material via e-mail and receive comprehensive, personalized answers with explanations, so that you can understand the material in the deepest way possible in the context of your chess level and abilities. The fourth part is the most diverse one, where IM Valeri Lilov will prepare a bundle of helpful training materials, which will help you develop your new skill further and master it with a lot of practice and self-assessment. The Personalized Self-Study Tools is designed to provide highly customized and effective training schedule and materials at affordable prices to all of my students. The Personalized Self-Study Tools consists of weekly training materials sent to e-mail and matched by a customized training plan, which is part of each student’s free personalized chess training program. A number of additional free services and private online support are made available to anyone, subscribed to a Personalized Self-Study Tools, which makes my Personalized Self-Study Tools a wise option for combining the benefits of self-studying and personalized training over the internet. You have an important tournament coming up soon? Get this great service online and baffle your opponents! You would have one of the best chess trainers online working for you any time during your battle at the top. IM Lilov "knows" them all! What does that mean? He can give you any information about the weak points of your stronger opponents, provided they have games ever uploaded online or you give your coach a few. IM Valeri Lilov will prepare a special opponent profile for almost anyone, which will include everything, from their preferred openings with black and white to how badly they lost last year to a guy weaker than you! Come get your personal tournament coaching now and you will be tomorrow's rising star. My new Personalized Group Lessons are designed to provide highly personalized and effective chess training at affordable prices to all of my students. A Personalized Group Lesson is conducted over the internet and the lesson attendees are matched by a customized lesson topic, which is part of each attending student’s free personalized chess training program. A number of additional free services and private online support are made available to anyone, subscribed to a Personalized Group Training Course, which makes my Personalized Group Lessons a wise option for combining the benefits of group and private chess training over the internet. Click here to learn more! 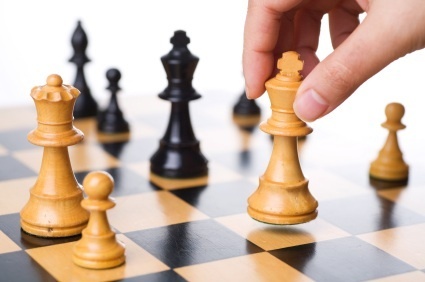 Most beginners, intermediate and master players find planning in the middlegame a challenge, especially at a height of battle for where the player seeks initiative, advantage, or even in need of mounting a solid defence against an attack. IM Valeri Lilov presents different strategic themes and equips players of different levels of skill with the required toolkit whenever they play their games, be it openings, middlegame or endings. Who was IM Lilov's trainer? Who is the person who has imparted the knowledge that Tiger Lilov is now teaching and sharin with his students? This is FIDE AGM Valeri Lilov Senior (Online FIDE Rating: 2503). He has been Tiger's mentor and coach for many years. All the years of being an accomplished chess trainer have helped Lilov Sr to develop an effective teaching system and great technique of training and practicing chess. Please see and subscribe to some of the most efficient training services you can utilize by Tiger Lilov's personal coach and trainer! 1 PayPal payments are subject to a ‘sales tax’ of 3.9% at check-out. This is used to pay for the handling fee PayPal charges to process the transaction. PayPal e-checks will NOT be accepted, unless they are submitted at least 7 full days prior to the lesson appointment. 2 The price is per person in the group only. 3 Games must be submitted in PGN format. Click here to check more info on the new training course Tiger Lilov's Chess Openings! Learn more about the software installation.